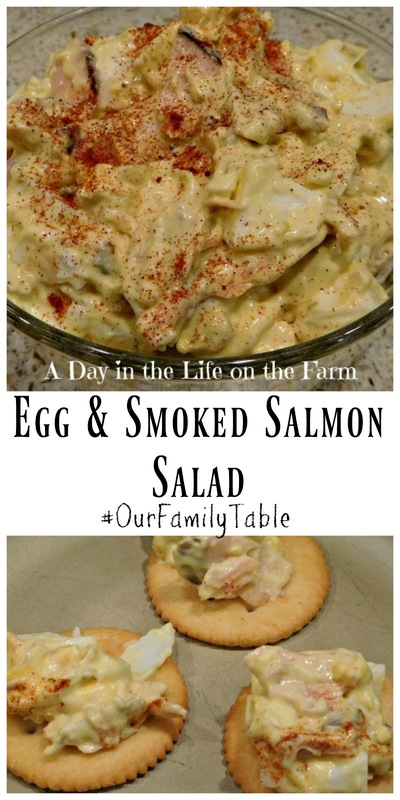 This delicious egg salad has a pleasant surprise with the addition of mesquite smoked salmon. 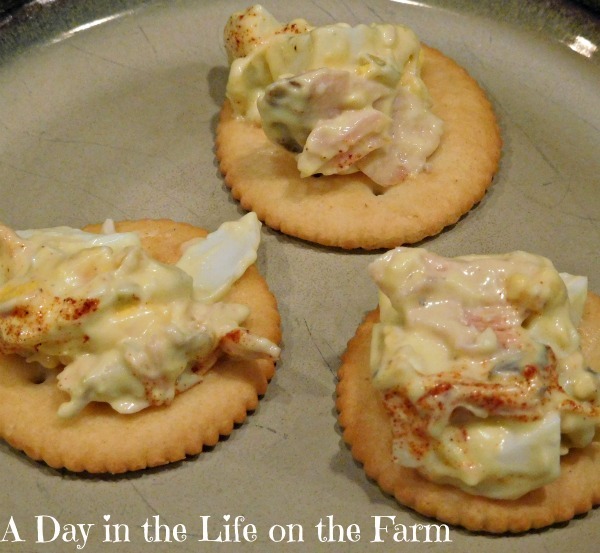 Perfect to set out as a spread for crackers as an appetizer or on a croissant for lunch. This party is being hosted by Christie of A Kitchen Hoors Adventures. Knowing that our readers will be looking for ways to use up those dyed eggs and as a nod to National Egg Salad week, Christie asked us all to bring a spectacular egg salad to the table. These are not dyed Easter Eggs. My eggs come naturally colored from my hens. 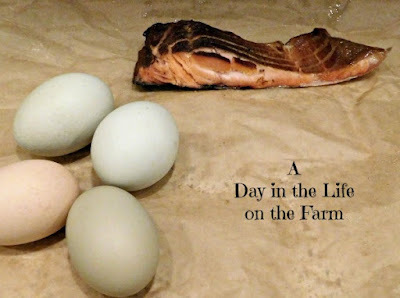 The smoked salmon is from a local restaurant that I love, Marine City Fish Company. Not only do they serve wonderful meals and have the best chowder around but they also house smoke salmon and make jerky for retail sale. They have several different flavors of smoked salmon. I chose to use the Mesquite flavored option. 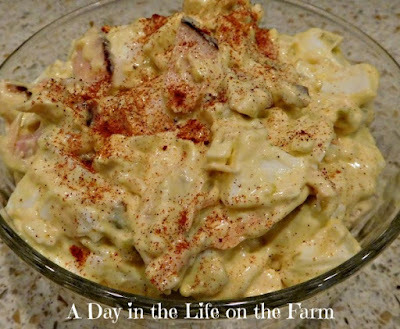 I made this egg salad with very little seasoning, preferring to allow the flavor of the salmon shine through. I used no salt at all. Just a little pepper and the dill flavoring in the relish, and a sprinkle of paprika for color. Coarsely chop the eggs and place into a bowl. Mix in the Miracle Whip, relish and pepper. Flake the salmon into chunks. Gently fold into the egg salad. Transfer to a serving bowl. Sprinkle with paprika, if desired. 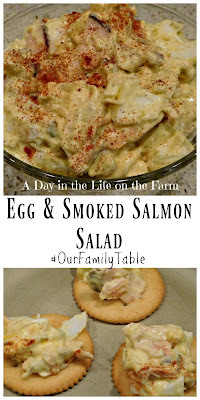 We both are brilliant aren't we =) I love the combo of egg salad and smoked salmon. Your local salmon looks amazing. Thanks Karen, it was a great combo...and I am pleased to bask in your brilliance. I love this for lunch, brunch or an appetizer! Perfect app for Easter too! This looks amazing, and sounds fantastic! I love that you used the smoked salmon! The flavor must be incredible! I'm pretty confident that my husband would eat this whole bowl. He loves smoked salmon. It was a great combo Terri. This looks fabulous. I really wish I liked salmon. It sounds so good. Maybe I can sub some smoked trout!